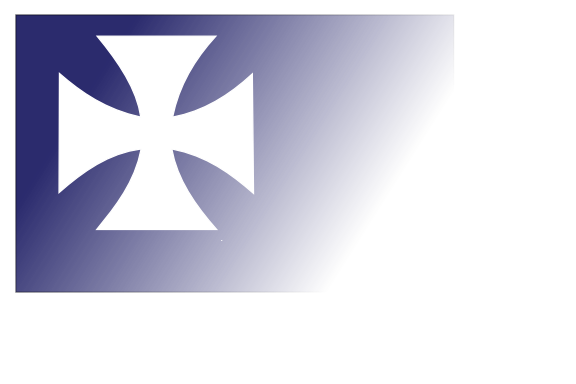 With the club founded in the late 19th century, our members have been sailing a variety of vessels in and around King's Lynn since then. We have trophies dating back over a hundred years that support our history and we are affiliated to the Royal Yachting Association. 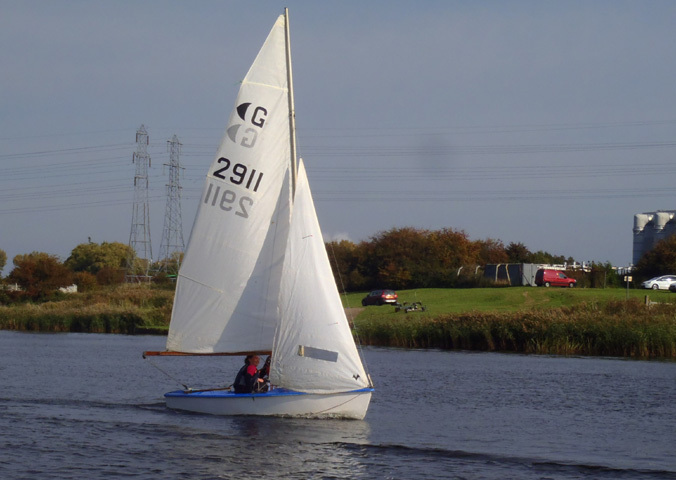 TOPPER For those of you who haven't seen one, Toppers are made of plastic so are pretty robust, they are easily sailed by teenagers or adults, they are easy to rig, launch and sail and are probably the most popular single handed training boat in the country. We have two of these available. LASER The most well known single hander in the world. The same (a bit older and maybe not quite as posh!) as the dinghy Ben Ainslie won Olympic Gold with in Sydney. 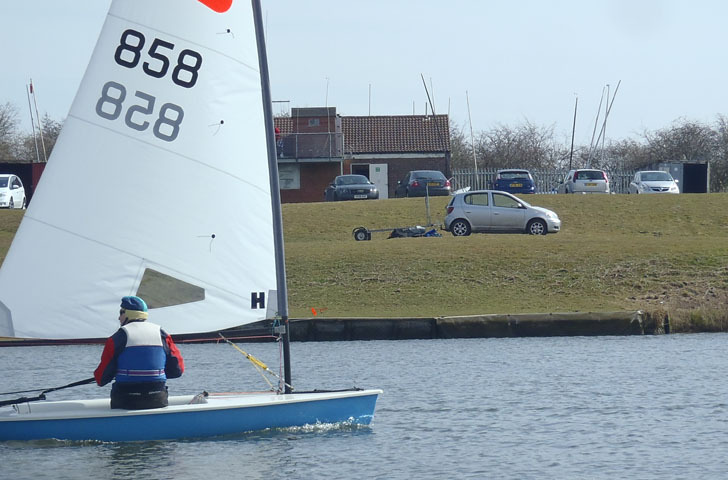 Two boats are available with a choice of full size or the smaller 4.7 rig for the lightweight and younger sailors. SUPERGRADUATE A GRP two-person boat that is ideal for one adult and a child/teenager. Easy to rig and sail, great for beginners and the more experienced alike. WANDERER Pretty much a Wayfarer scaled down to 14 feet. Wayfarers are stable and easy to sail but with enough sail area for a good sailing performance. This one also has a spinnaker. SOLO An older design single handed dinghy, one that you sit in rather than sit on! More roomy than the Laser and Topper and does just about have room for two. WAYFARER A large GRP cruising/racing boat, she will take four people comfortably and can be raced with two. Fairly stable and with a wide choice of foresails depending on the wind. Ideal for taking the whole family sailing. We also have a small amount of sailing clothing and buoyancy aids for those just starting out, so if you are at all interested come down and talk to us, we often have experienced sailors looking for new crews so you may not even need a boat or be able to sail to get out and have a go. During organised sailing. 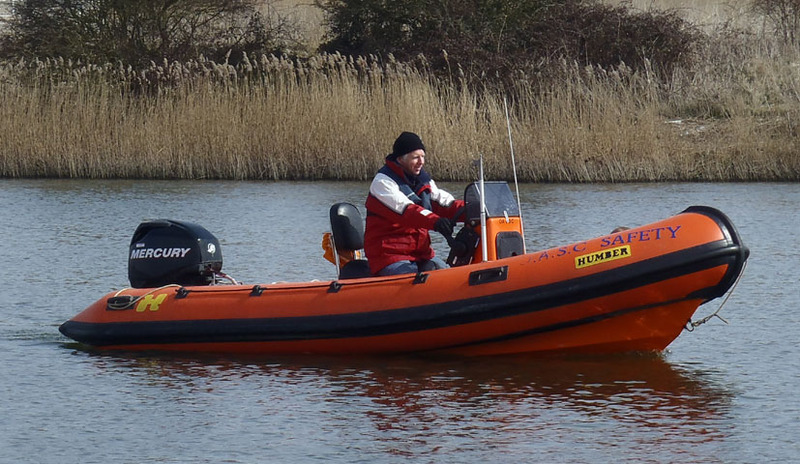 one or both of our fast safety boats are on the water for your safety, but like most clubs we also expect sailors to help each other out as well as being responsible for their own actions.